Looking for an experienced locksmith for new lock installation or lock repair? Come to Spruce Grove 24/7 Locksmith. Our locksmiths can install and repair a vast array of residential and commercial locks. We are a team of highly skilled technicians with years of experience in the lock repair and installation field. You can rely on our experts for re-key, repair or upgrade any type of lock in your office or home. Our locksmiths are well-informed about the various locks and their working mechanism. If you are not sure about the locking system of your place, our experts can walk you through the locking system selection process. We are here to enhance the security of your home and business. Want to change the locking system of your home or upgrade the existing locks, we can help. Our locksmiths can repair, install or replace any types of residential locks. Whether it’s your door, window or security system lock, we can handle them all. We are committed to making your home secure with our quality services. 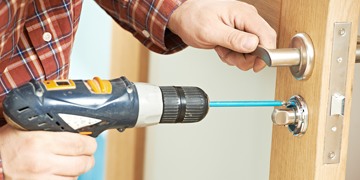 Our locksmiths are not just limited to home lock repair services, we can also fix safe or cabinet locks. We are a 24/7 service, feel free to call us anytime. We are the leading commercial locksmith. Small, medium or large, we are competent to handle the locks of any business size. Our commercial locksmiths carry a wide range of branded locks that will ensure the security of your business assets and commercial property. Our professionals also provide a wide range of panic bars and door accessories. Our locksmiths are equipped with the latest tools and equipments, ready to fix your issues. Our professionals have in-depth knowledge about the locking hardware. That’s why they are able to repair or service any kind of lock in a timely and efficient manner. We understand locks and their mechanism and offer the best solutions for damaged locks. There is no lock that our locksmiths cannot repair, install or replace. Our locksmiths deliver high quality services to both our residential and commercial clients. We are known for professional, fast and reliable locksmith solutions.